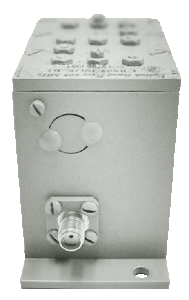 G-WAY Microwave’s filter series cover a wide frequency range of 300MHz to 20GHz. G-WAY’s unique design topologies offer a broad range of filter solutions utilizing a variety of High Q Cavities for each design. Although standard products offer exceptional specifications, G-WAY is able to enhance parameters. Such parameters include: selectivity, insertion loss, and/or power handling capacity. G-WAY works with customers to meet all specific custom requirements. To pass frequencies within a specific range and reject (attenuate) frequencies outside said range; a band-pass filter is used. Cavity band-pass filters manufactured by G-WAY Microwave exhibit low Insertion Loss, high Selectivity, and excellent Passive Intermod performance. In order to reject specific frequencies, a band-rejection filter is utilized. The filter passes selected frequencies unaltered, however attenuates those in a specific range to very low levels. 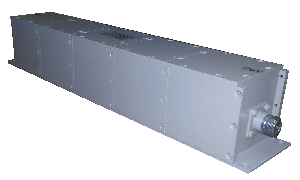 Cavity band-reject filters manufactured by G-WAY exhibit low Insertion Loss, high Selectivity and excellent Passive Intermod performance.